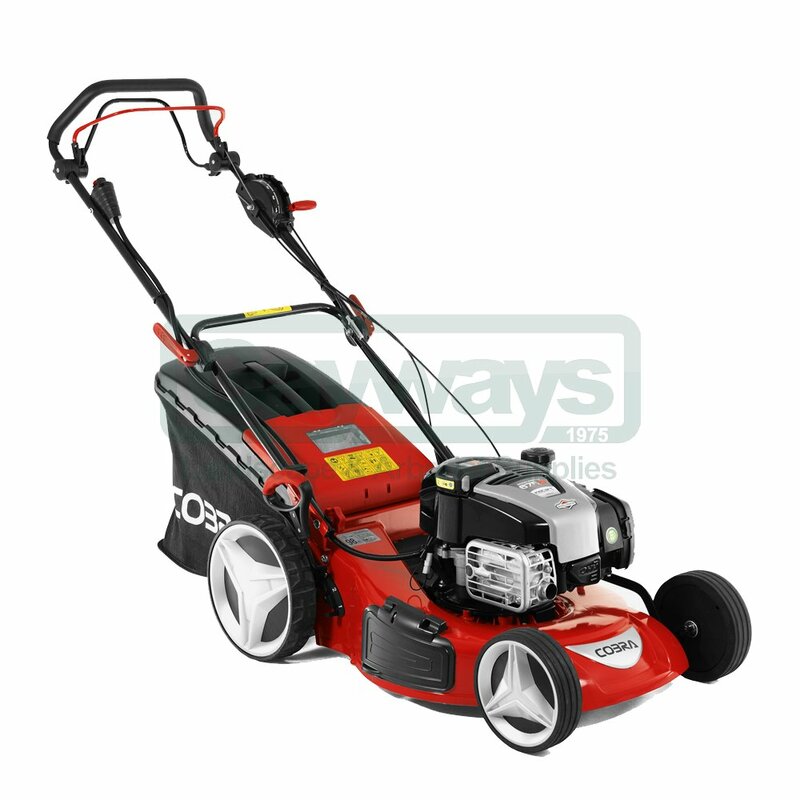 Powered by a Briggs & Stratton 675IS InStart engine, the premium Cobra MX515SPBI comes equipped with a durable aluminium deck. The 4-in-1 cutting system together with self propelled drive and a reliable 5 speed gearbox give complete user control. 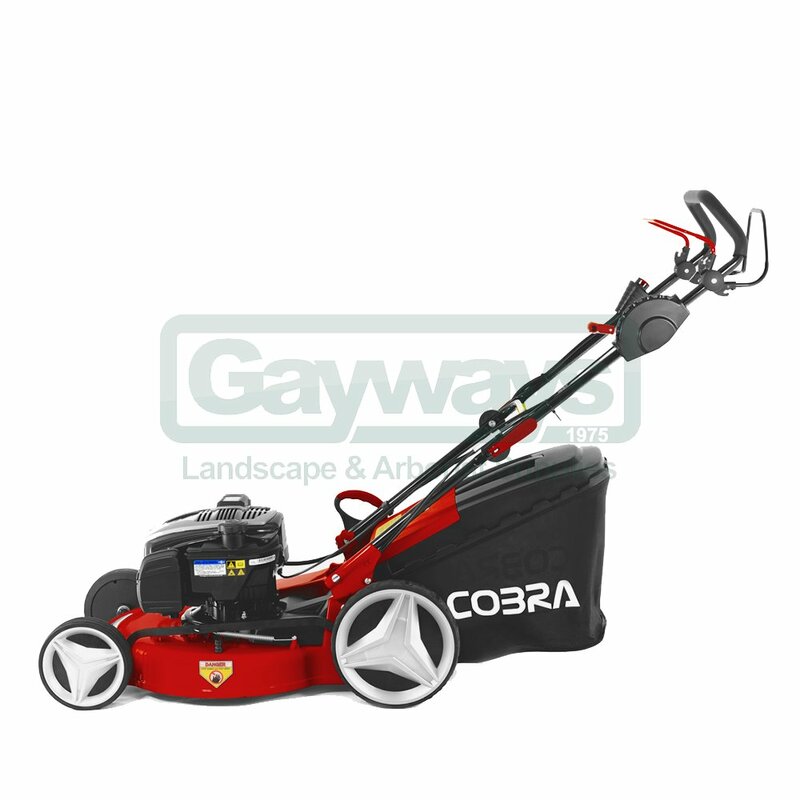 Cobra Aluminium Deck Lawnmowers offer outstanding longevity and have superior collection performance. 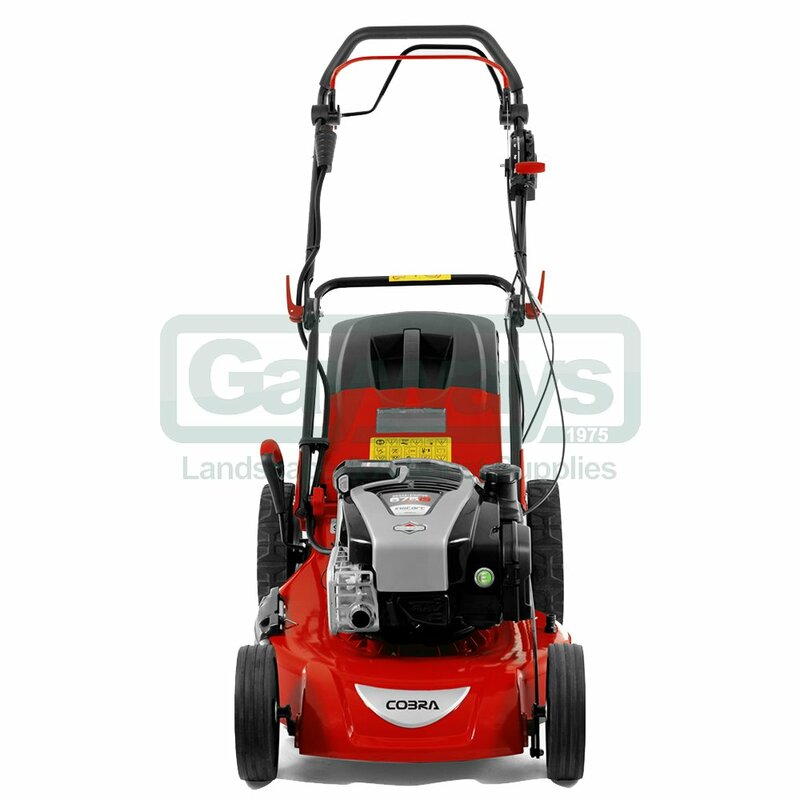 The Cobra MX515SPBI wheeled petrol Lawnmower has a hard wearing, cast aluminium deck which is the popular choice for both professional and domestic users alike. The aluminium deck has many other benefits as well as its durability, which include: less susceptible to corrosion, easy to clean and a longer working life. InStart battery can be quickly charged from flat so you don't have to wait too long until your mower is ready to go! 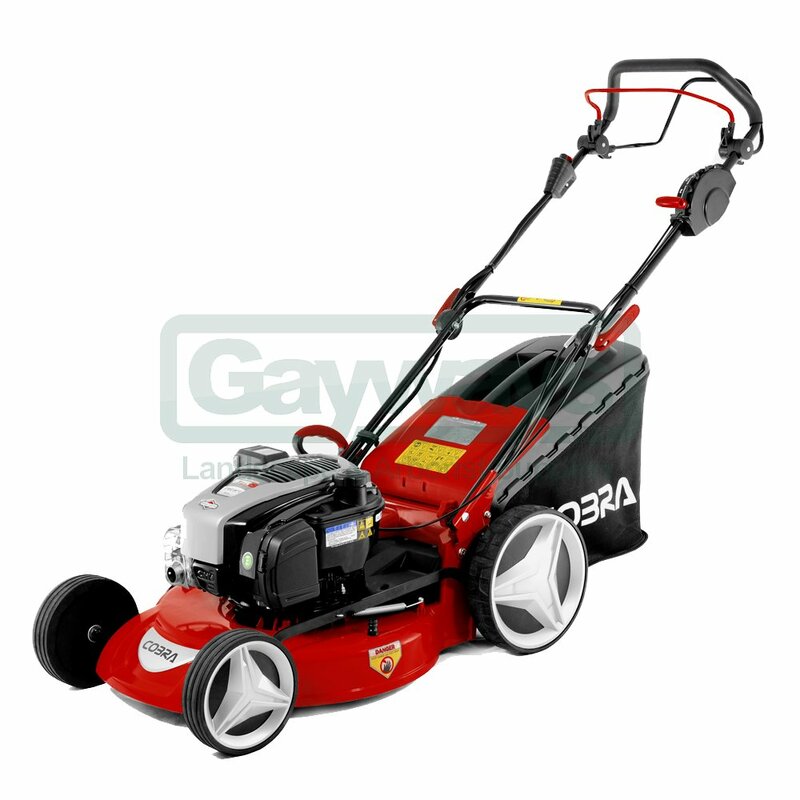 The Cobra MX515SPBI wheeled petrol Lawnmower has a hard wearing, cast aluminium deck which is the popular choice for both professional and domestic users alike. The aluminium deck has many other benefits as well as its durability, which include: less susceptible to corrosion, easy to clean and a longer working life. 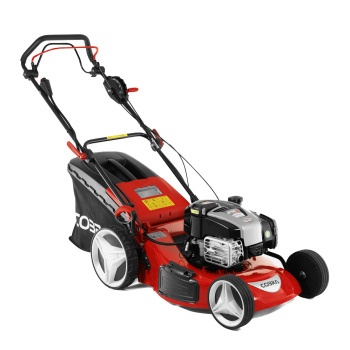 The Cobra MX515SPBI petrol lawnmower has 7 adjustable cutting heights ranging from 25mm for a superb low finish, up to 75mm for tackling longer grass. 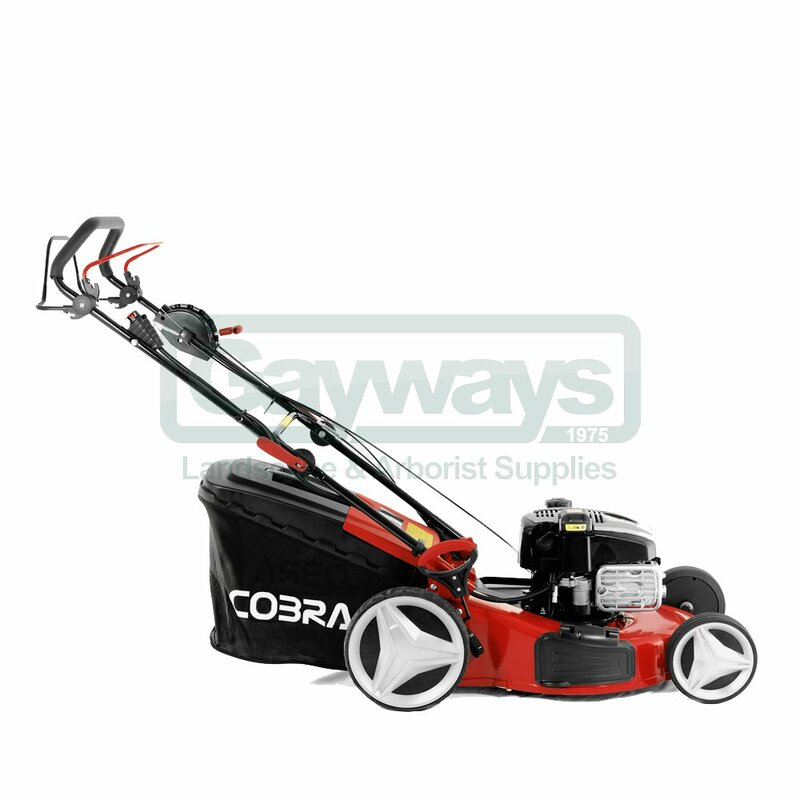 The Cobra MX515SPBI petrol lawnmower is equipped with a 60ltr fabric grass bag, ideal for collecting large amounts of grass clippings before the need for emptying. The grass bag on the Cobra MX515SPBI is made from a robust, high quality fabric. This fabric enables a strong free flow of air which means that grass collection on this machine is even more compact and comprehensive.